The border crossing will be closed for 24 hours and reopened Tuesday. 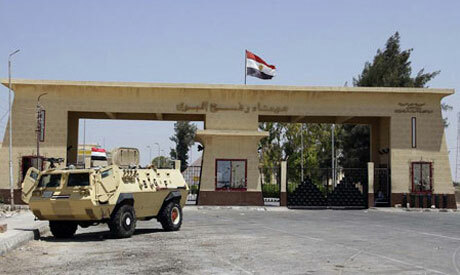 Egyptian authorities are going to close Rafah Crossing on the border with Gaza on Monday for 24 hours, Egypt's state-owned news MENA reported. According to MENA, the closure comes on the occasion of the anniversary of the 23 July revolution, which is a national holiday for the public and private sectors in Egypt. Rafah Crossing is the main gateway to the outside world for 1.8 million Palestinians living in the Israeli-besieged Gaza Strip, and is the only crossing point not controlled by Israel.